Floatation tank sessions improve athletic performance across a wide range of activities, including: tennis, gymnastics, bowling, rifle shooting, football, golf, soccer, sailing, rugby, basketball throws or dart-throwing, to name but a few. Floating maximise the benefits of physical training, as the actual growth and strengthening the muscles take place during relaxation, usually 30-40 hours after the exercise. The deep relaxation enhances blood circulation and the growth of the muscle tissue. Dr Peter Suedfeld from University of British Columbia in Vancouver measured the performance of basket players a day before and after a single session of floating (plus visualisation). The experiment revealed 37% improvement in free throws comparing to a control group! 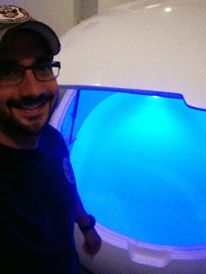 Many sportsmen nowadays use floatation tank sessions to practice visualisation techniques helping them to win a game. 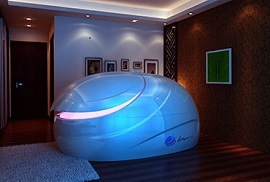 Floatation tank therapy enhances rehabilitation and recovery from sport injuries. Floatation removes the pressure of sore muscles and joints. The therapy improves blood circulation which can accelerate healing. It helps to reduce pain through the production of endorphins. When Brett Dennis, a young and promising cyclist fell from a cliff and smashed his femur during the US Tour DuPont road race in 1994, doctors gave him little chances of full recovery. 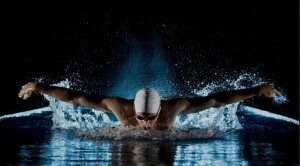 The athlete used floating tanks three times a week. After 7 weeks of the therapy he won gold and with his teammates beat the Australian record in the 100 km team time trial! If you compromise with any of the above, you will be compromising with your ability to perform at your peak and achieve the goals you have set out. The principles are the same for any training program whether this is body building, running, cycling, swimming, defence training, fitness, weight loss etc. 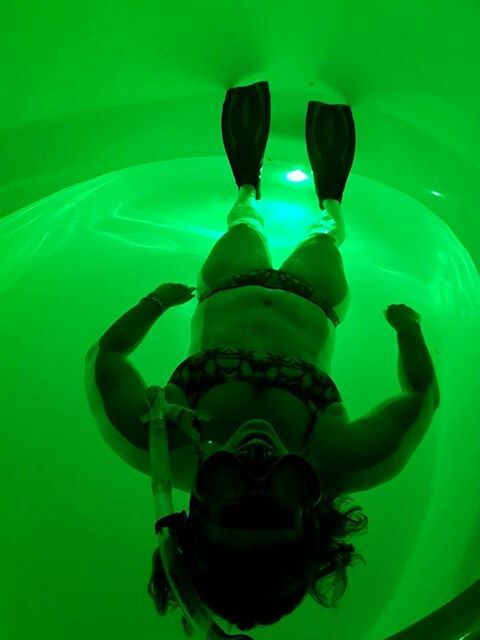 One of the major benefits of the floatation tank is to become aware of what is happening within your body. The floatation tank will help you be in tune with your body and you will be aware of any tensions or stresses before they are physically noticeable. The advantage of this is to understand what areas of your body you need to spend more time stretching, slow down or even rest to avoid injuries. Listen to your body and you will be less prone to injuries. When you enter a float tank you are in an environment that will allow you to enter into your deepest state of relaxation possible. With your body in such a relaxed state it will cleanse itself from stress related chemicals such as adrenaline, cortisol and lactic acid and replace them with beneficial endorphins. In such a relaxed state your body will have the chance to restore its natural powers of self regulation and healing. The floatation tank will help speed up the clearing of lactic acid build up and the recovery process from extensive training, allowing you to perform at your peak and be less prone to injuries from overtraining. 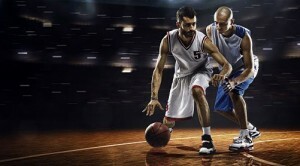 A majority of sports injuries are related to muscular tension and can be prevented by relaxation. Research has shown that the floatation tank causes a major reduction of muscular tension throughout your whole body and this reduction persisted for days and in some people even weeks after a floatation tank session. When you participate in an extensive training program your body needs time out to recover from the work out. Allowing your body to recover efficiently is the difference between achieving your ultimate goal or burnout. The floatation tank has been systematically studied and researched since the 1950’s and is endorsed at major sports training centres around the world. Also endorsed by the Australian Institute of Sports and used by many athletes at the Sydney 2000 Olympics.